Step into the fairy-tale world of Disney's most amazing Princesses! Follow Cinderella to the ball, join Jasmine on her magic carpet ride and dance with Beauty and the Beast until midnight in this enchanting Disney Princess guide! 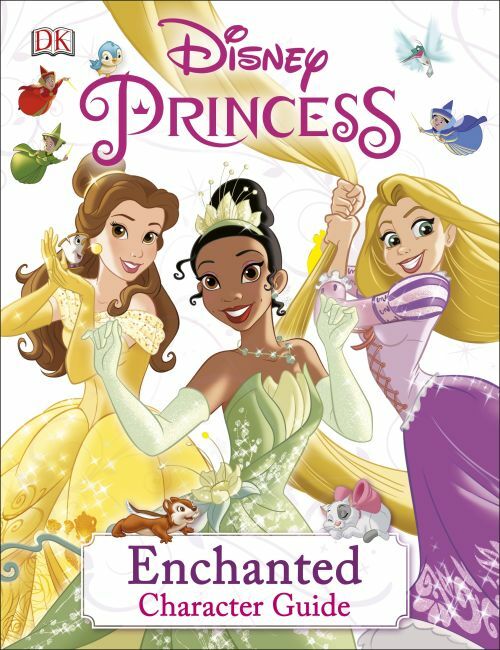 Discover all the Disney princesses names and movies plus their fairy-tale endings in the Disney Princess Enchanted Character Guide. Get to know each beautiful Princess and read their magical story, meet their best friends and worst enemies, plus find out fascinating facts about your favourite Disney Princesses. From Snow White and The Little Mermaid to Sleeping Beauty and Merida, find hundreds of colourful and stunning Disney Princess pictures of each famous character and discover the magical world of Disney Princesses!